The home coach is responsible for cancelling the game, even if the away coach requests the cancellation. Please cancel as soon as you know you will not play the game, so we can notify referees. 1. Click here to email the Field Scheduler and Referee Coordinator to cancel your game. Please include original game date and time, coach name & division. 2. You will receive an email from BAYS confirming the cancellation. Weekdays are possible, but it’s more difficult to get refs and may need practices to be moved. Your regular practice slot may be an option. Note that LPDA and pro-sessions will not be moved for make-up games. 2. Confer with the opposing coach and agree upon a day and time. Reschedule requests should be submitted at least three days in advance. To reschedule an away game, work directly with the away coach – LUSC officials do not need to be involved. 1. 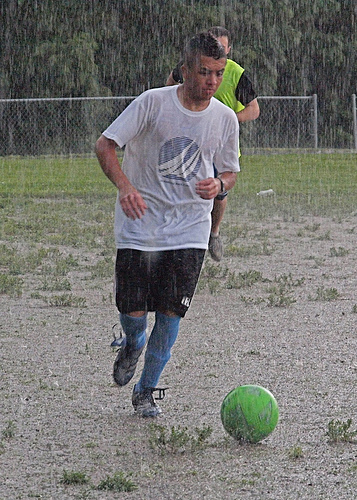 The Lexington Recreation Department may close some or all fields at any time. The LUSC Field Coordinator will post this on the website home page, usually by 2pm on weekdays. 2. For Saturday or Sunday rainouts: if the Recreation Department has not closed the fields, but conditions are unfavorable, then the Field Coordinator will determine in the early morning whether some or all fields are playable. Field status will be posted on the home page of the website by 7:15am. Coaches are then responsible for contacting their team and their away team, if applicable, by 7:30am. If the decision is made to cancel only morning games, the Field Coordinator will make another call by mid-morning for afternoon games, and update the website. If fields are unplayable, coaches are then responsible for contacting their team and their away team, if applicable, as soon as possible. 3. Assuming that LUSC has not closed the fields, the coach has the responsibility, and authority, to cancel the game if the coach feels that conditions are not safe and/or the field will be damaged. Also, the referee has final authority to declare a field unplayable at game time. (This is directly out of the BAYS 2001 Rulebook). As always, the final decision to have a child play in inclement weather is up to the parents. PLEASE NOTE: There are occasions where the fields remain open but a decision is made to cancel specific programs such as the K-2 programs. This decision will be posted on the top of the home page as soon as it is made. If there is poor weather we recommend continuing to check the website until you are ready to leave for your program.